Dear friend.Due to design weight issues. 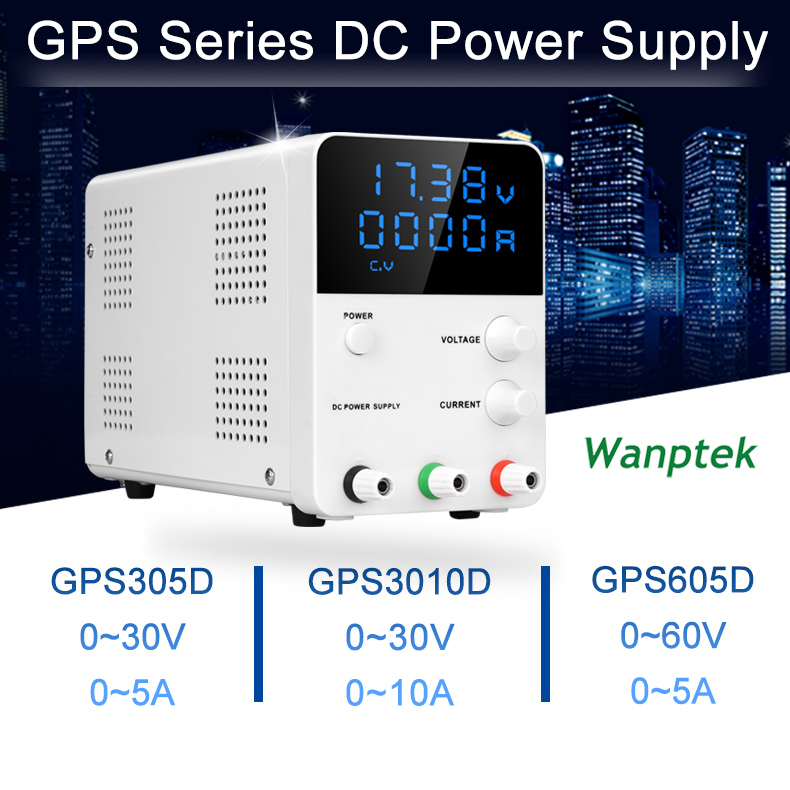 GPS series products The total weight of the product containing the power cord exceeds 2kg,send from China.Can\'t send most logistics methods.Buy Russian warehouse containing power cord. So we have to remove the power cord,our goods do not have the Power Cable.Pls understand. The power cord used by our power supply is a general specification. 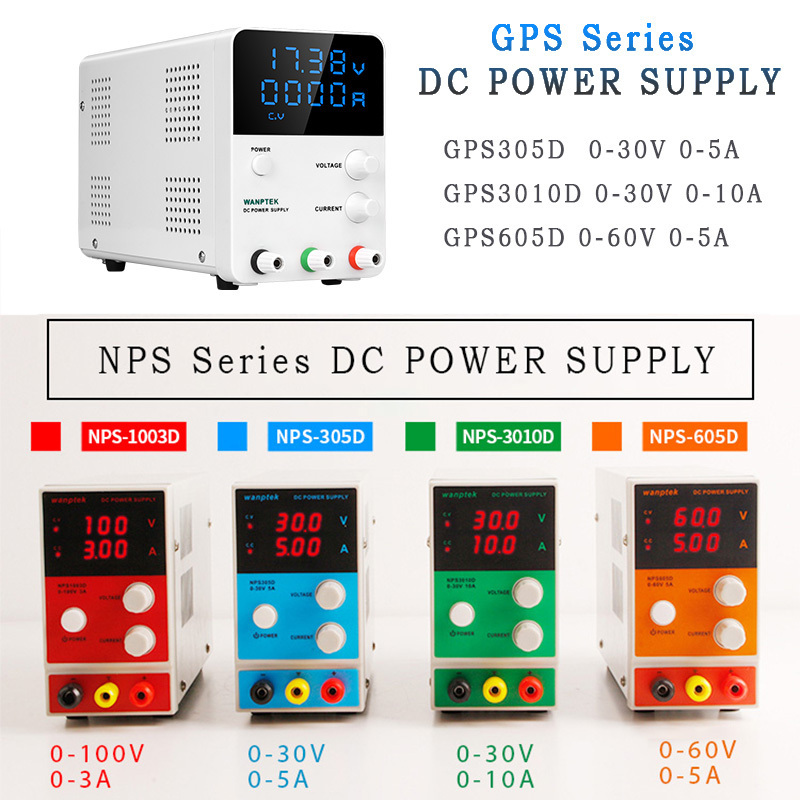 This series of switching power supplies for measuring instrument have broken out the inconvenience of bigvolume and heavyweight of traditional power supply possess.The output voltage and current is controlled by two variable resistors with precise adjustment. 2,With high frequency operation can reduce the size of power transformer. 3,With small size, light weight and high density power. 4,Entire efficiency rate higher up to 70%. 5,Zero adjustment for the output of voltage and current. Operation Temperature & Humidity : 0 ~ 40 C, RH<80%. Storage Temperature & Humidity : -10 ~ 70 C, RH<70%. (1) Output Voltage ranges from 0 to rating voltage with continuous adjustment . (3) Recovery time<500us(50% Load change, minimum load 0.5A). (1) Output current ranges from 0 to rating current with continuous adjustment. (2) Current regulation line regulation<3mA. load regulation<3mA. Display : 4 Digits 0.56" Blue LED display. Accuracy : +-(0.5% of rdg + 2 digits). Between Chassis and Output Terminal : >20M ohm (DC500V). Between Chassis and AC Cord : >30M ohm (DC500V).